Chieftain’s Limited Edition- A mogul friend of mine recently gave me a bottle of this unique single malt. 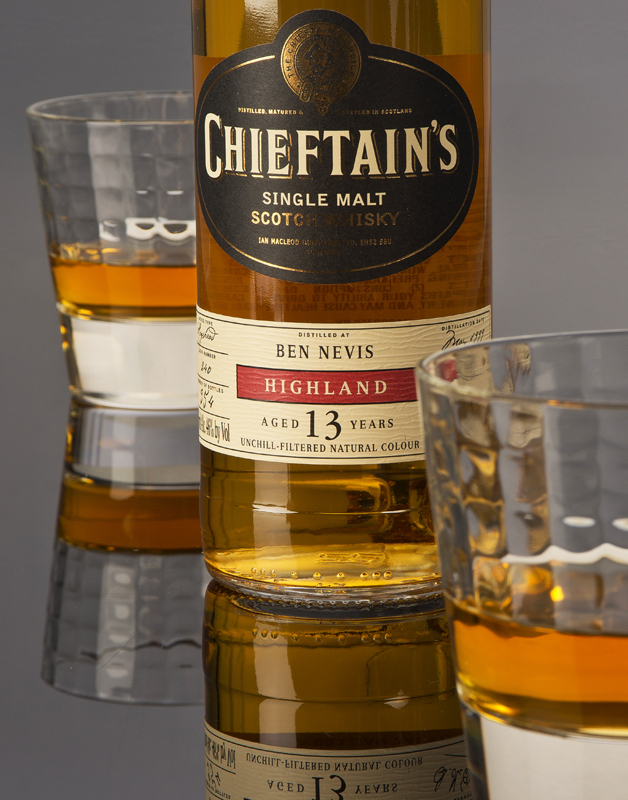 The story goes like this…Ian Macleod purchased cask stocks from the Ben Nevis distillery and allowed the whisky to mature in Hogshead barrels for a curious 13 years. Autumn amber in color and spicy smooth on the nose, this is a bold flavored malt fit for a Scottish Chieftain or an American Mogul ! The vanilla notes linger on the palate long after the spiciness has receded. I suggest this 8+ rated Highland single malt be included in the leather clad cabin of your custom Learjet on your next business adventure, Slainte Kemosabe.